Candid view of I.W.W. 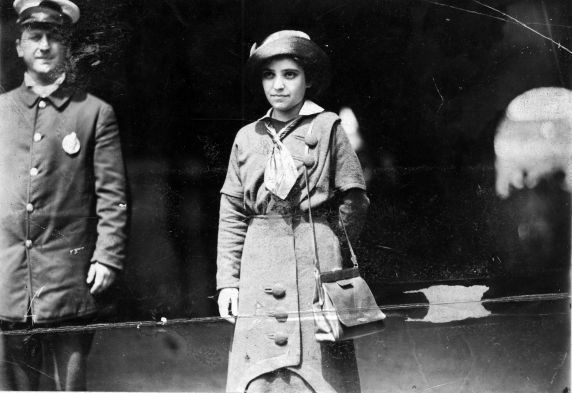 organizer Matilda Robbins, likely taken after her arrest in Detroit, Michigan. Caption on the back of the photograph reads: "Rabinowitz on the way to the workhouse - Patrol Kindley (illeg.) by police department.